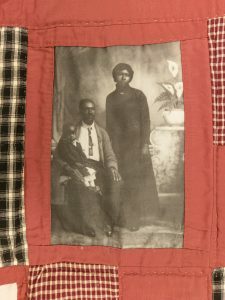 Artist Amber Robles Gordon creates art from recycled materials and fiber. 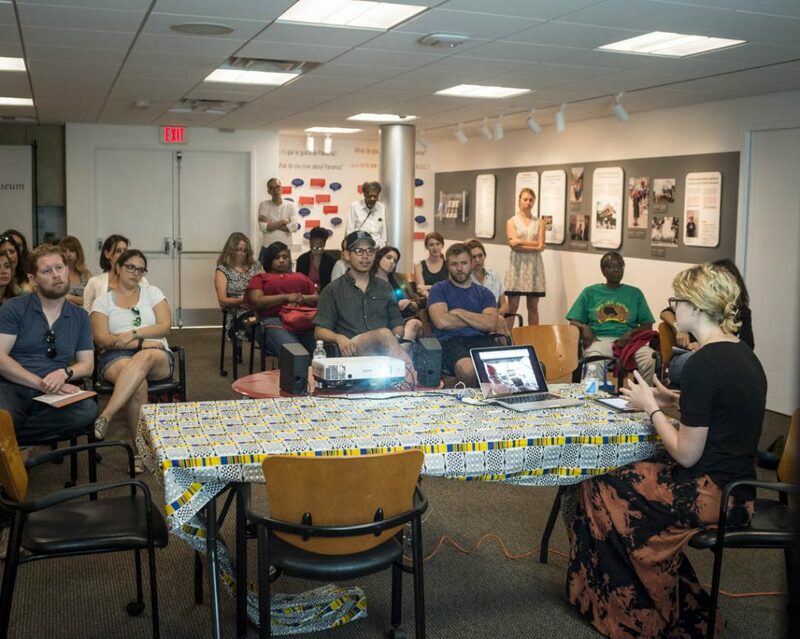 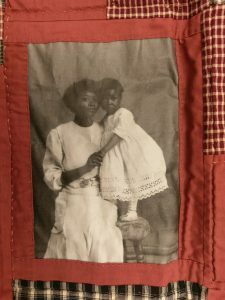 She sat down with the Anacostia Community Museum to discuss her practice and craft. 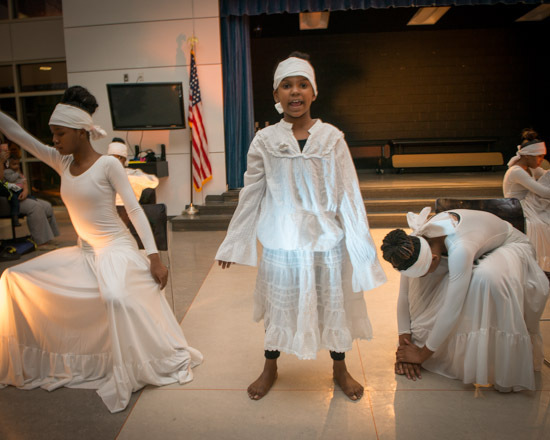 February 29, 2016 – The Savoy Players during their performance in a Black History Month event at Savoy Elementary in SE Washington, DC. 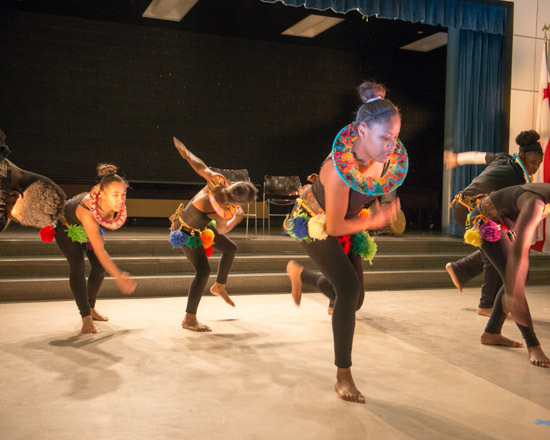 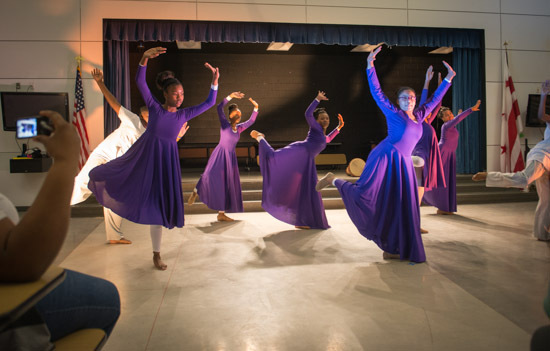 This year in honor of Black History month students at Savoy Elementary got together to create a Black History Month program which featured a variety of developing talents in dance, word, writing, yoga, and stilt-walking. 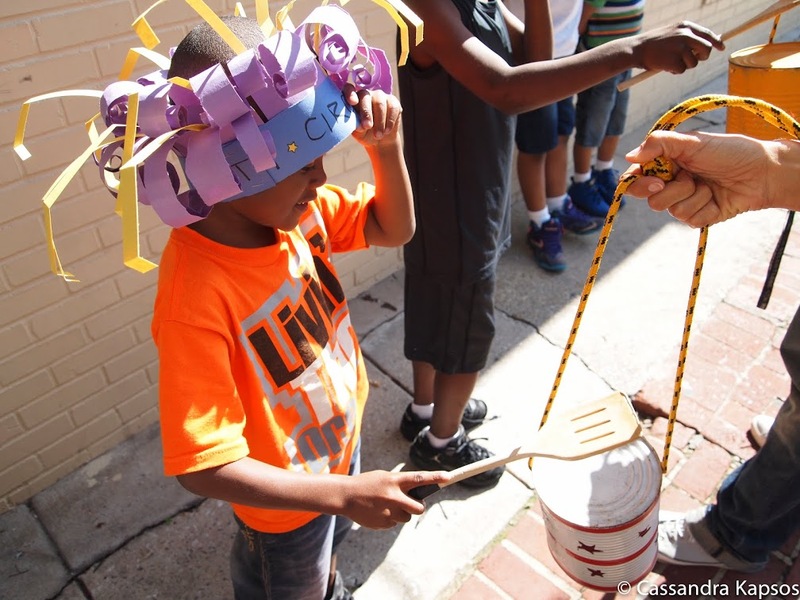 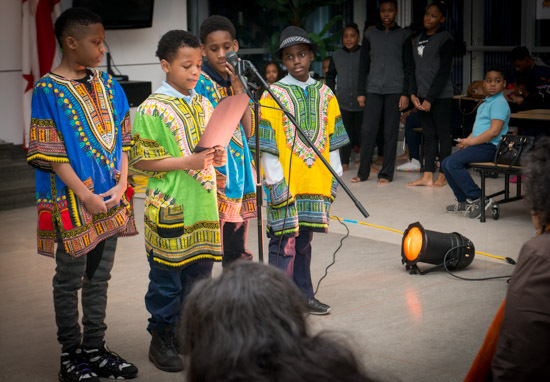 The Anacostia Community Museum Academy is based out of Savoy Elementary and the program featured a number of Museum Academy students. 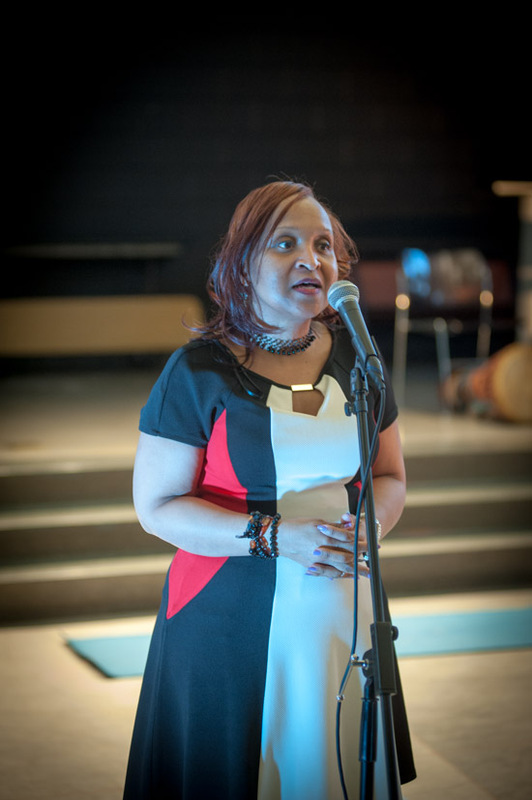 Linda Maxwell of the Anacostia Community Museum Academy makes opening remarks at a Black History Month event at Savoy Elementary in SE Washington, DC. 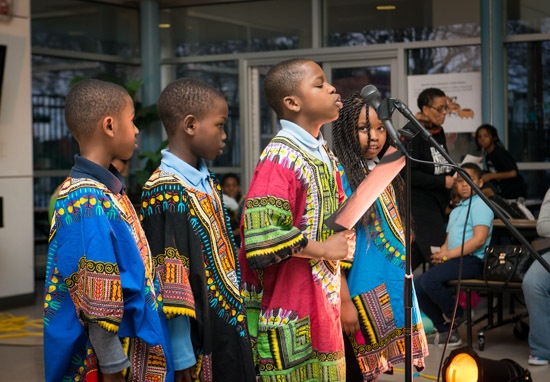 February 29, 2016 – Members of the Anacostia Community Museum Academy recite poetry during a performance in a Black History Month event at Savoy Elementary in SE Washington, DC. 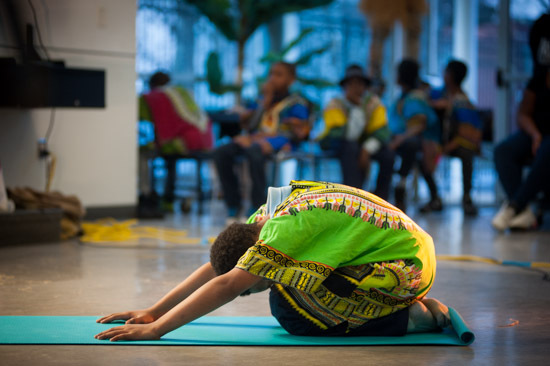 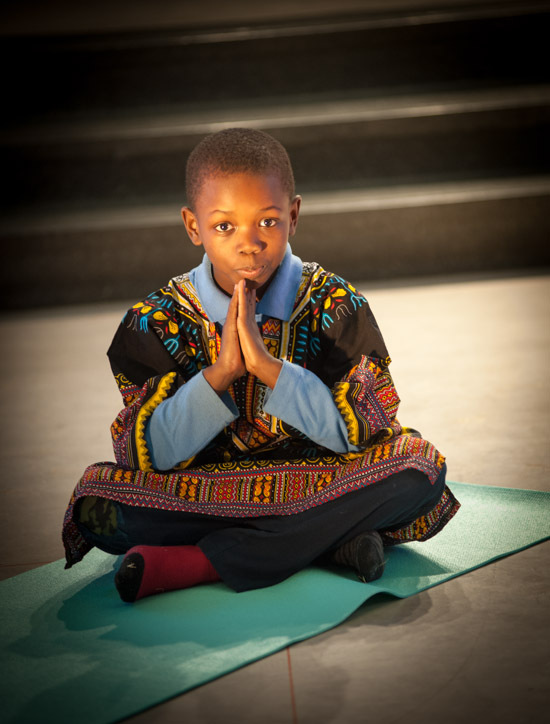 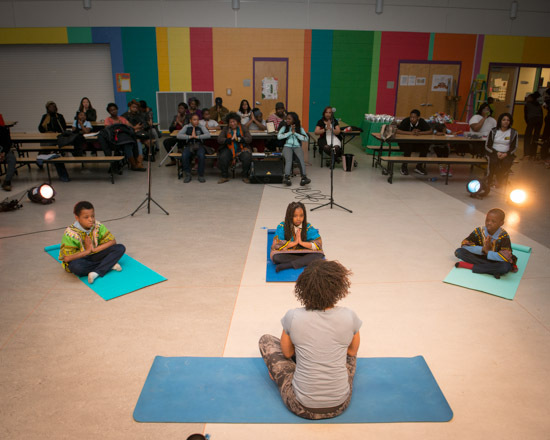 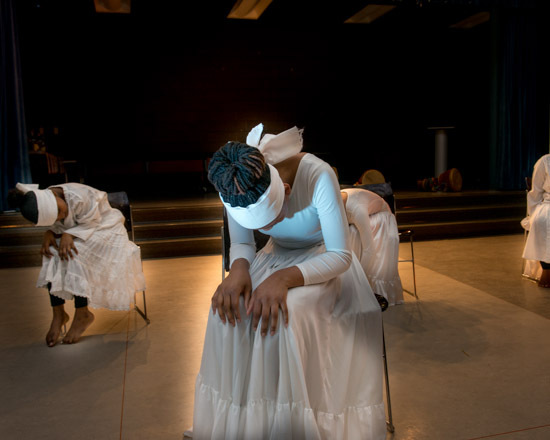 February 29, 2016 – Members of the Anacostia Community Museum Academy during a yoga demonstration at a Black History Month event at Savoy Elementary in SE Washington, DC. 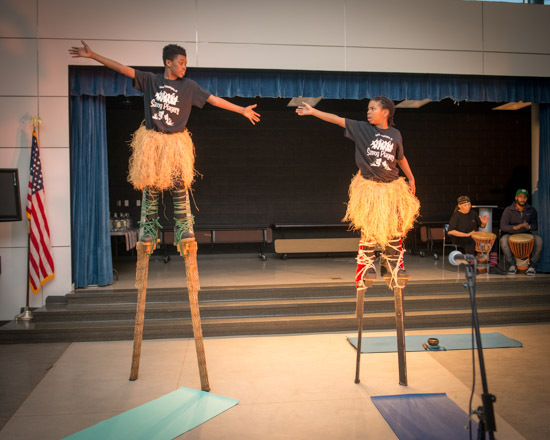 February 29, 2016 – Members of the Anacostia Community Museum Academy perform on stilts during a Black History Month event at Savoy Elementary in SE Washington, DC. 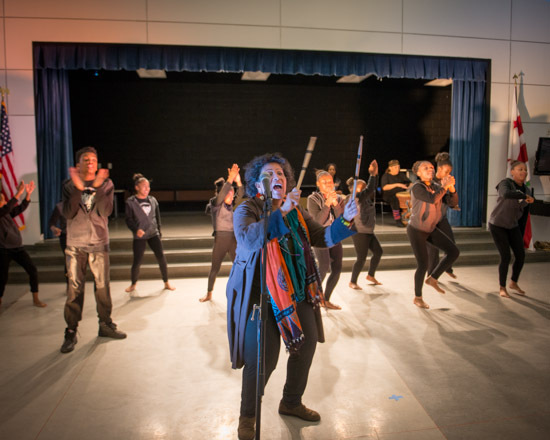 February 29, 2016 – Mrs. Carol Foster rallies her Savoy Players during their performance in a Black History Month event at Savoy Elementary in SE Washington, DC. 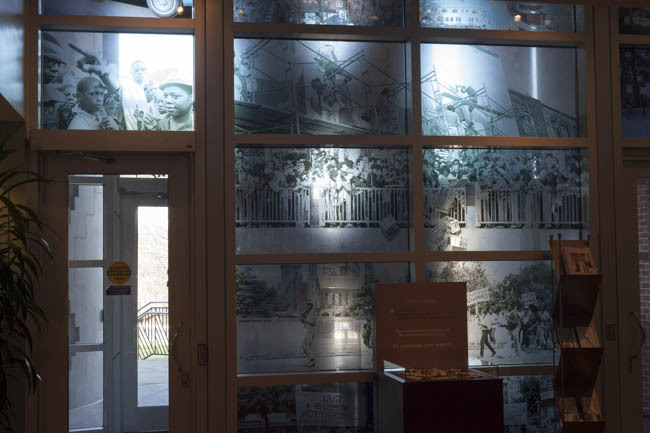 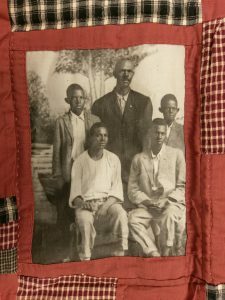 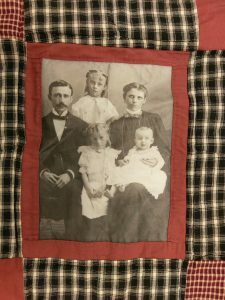 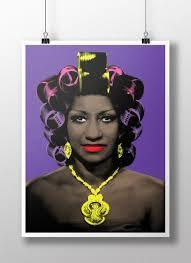 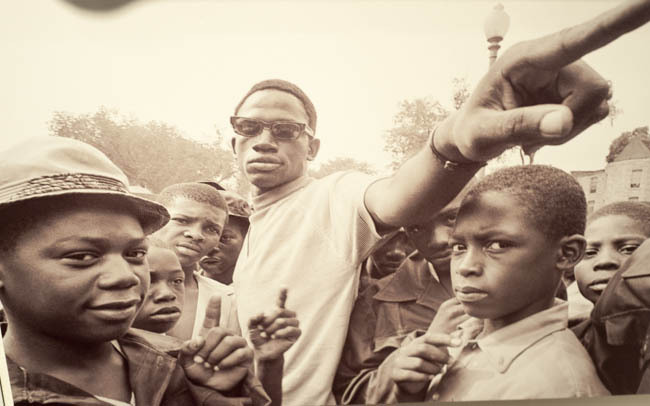 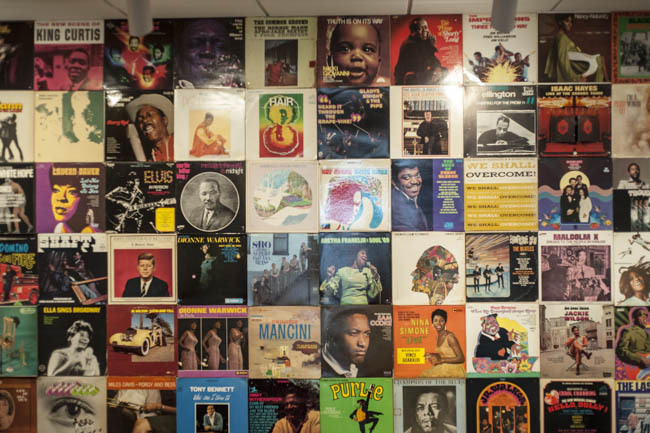 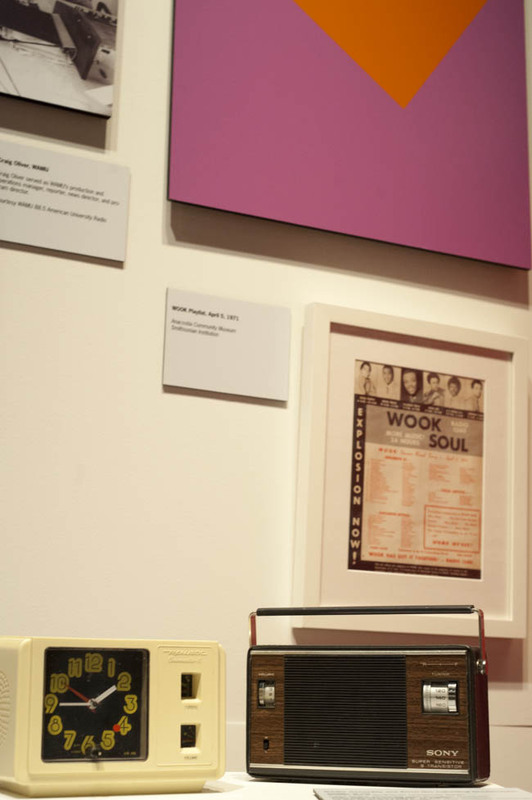 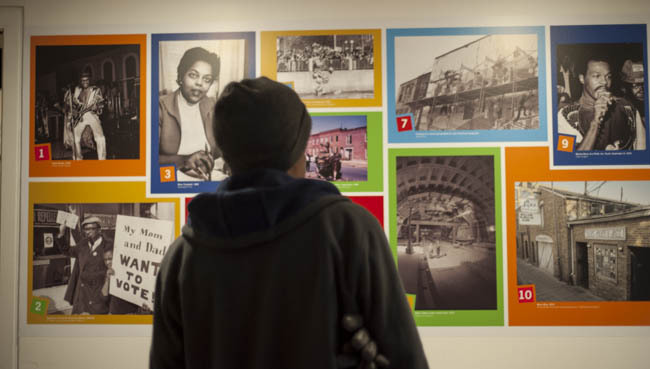 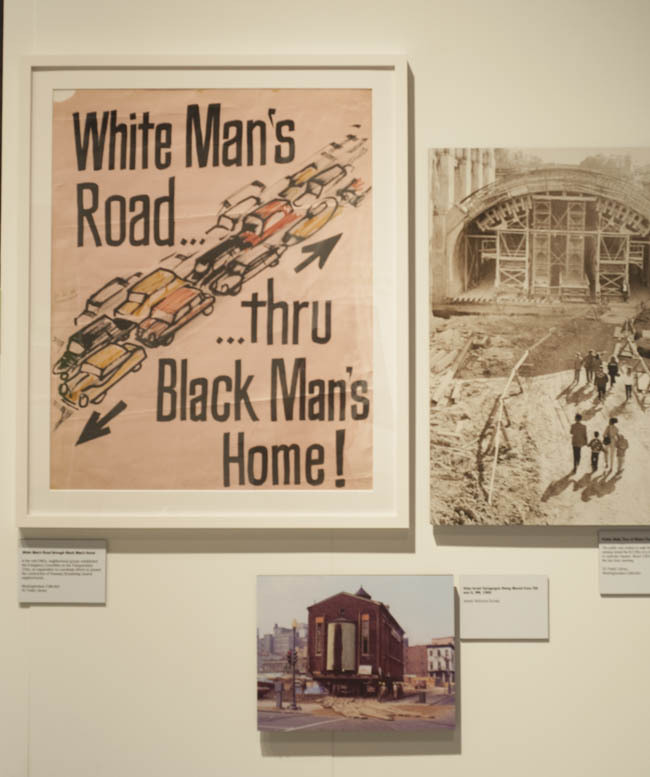 The Anacostia Community Museum exhibit, Twelve Years that Changed Washington. 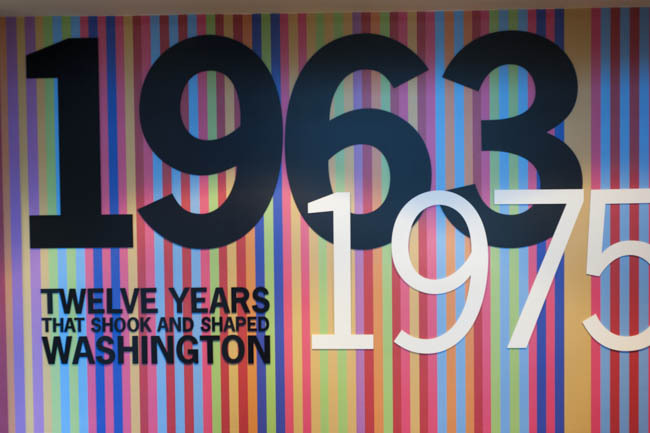 The Anacostia Community Museum exhibit opening for Twelve Years that Shook and Shaped Washington was a bittersweet affair, held shortly after the passing of Head Curator Portia James in early December. 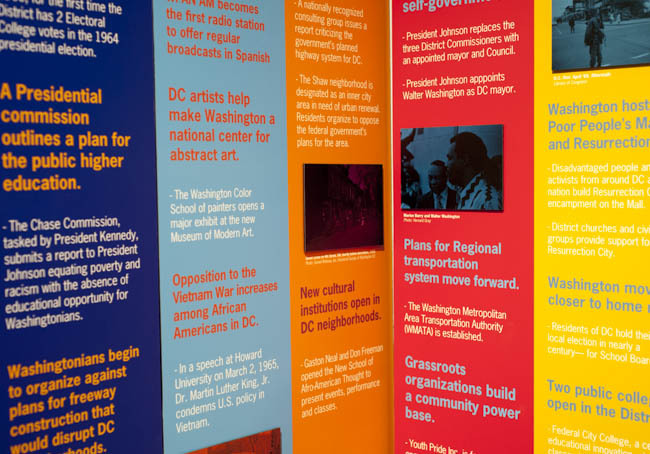 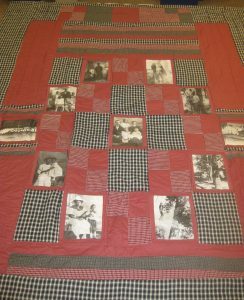 Portia had worked at the Anacostia Community Museuem for over thirty years, guiding many exhibitions including this last. 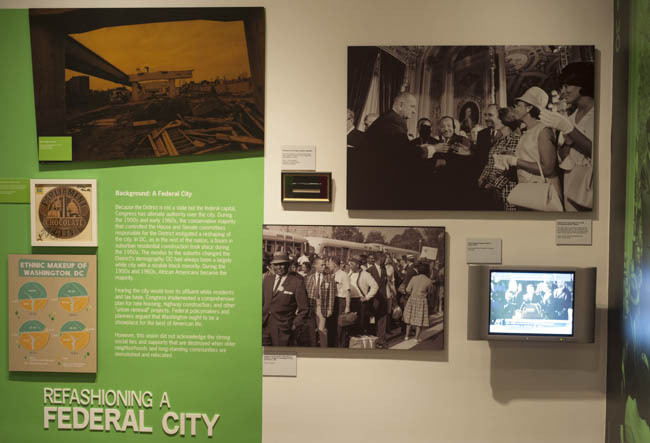 Head Curator Portia James, pictured left, was honored at the entrance to the exhibit. 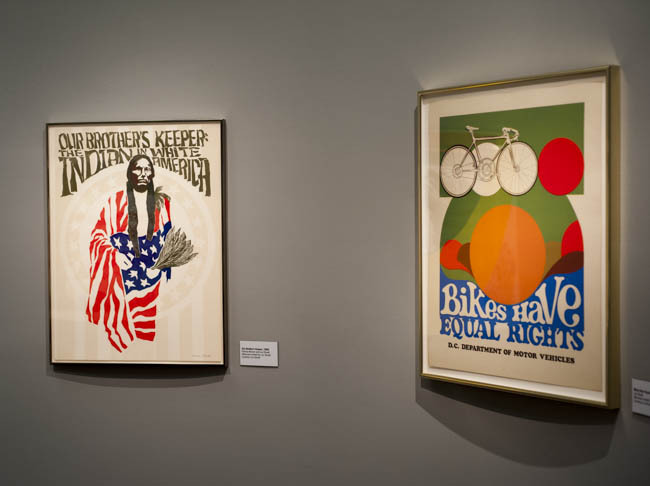 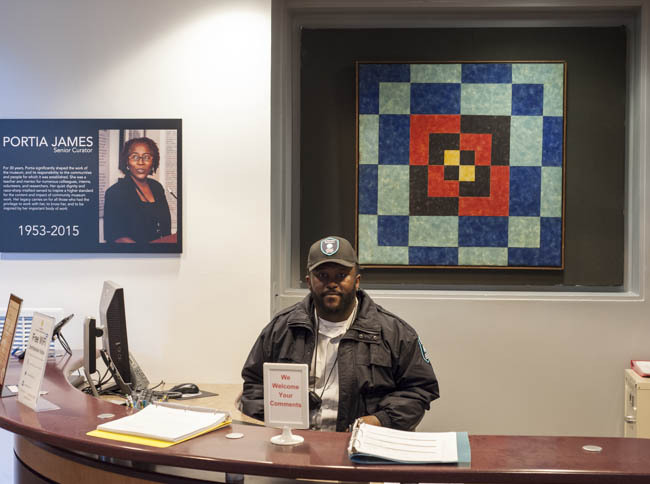 Artist and printmaker Lou Stovall’s work graced the interior lobby and the Kinnard Gallery. 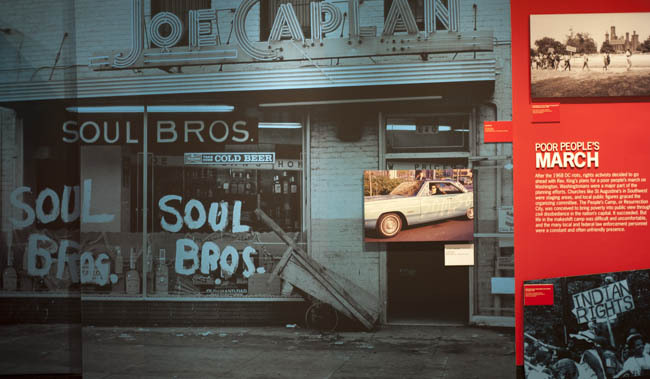 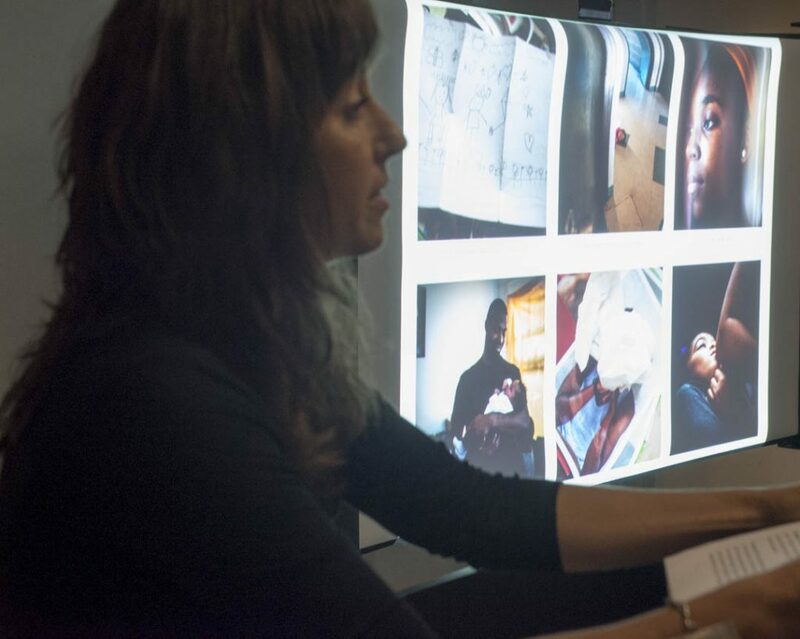 Plenty of contemporary photography illuminates the struggles of times. 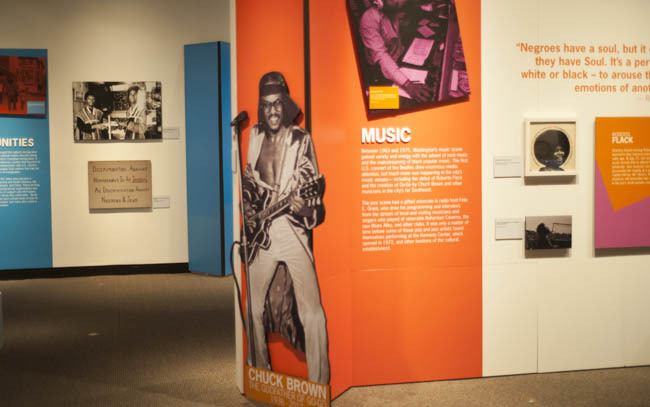 Chuck Brown and DC Go Go music are familiar to most Washingtonians. 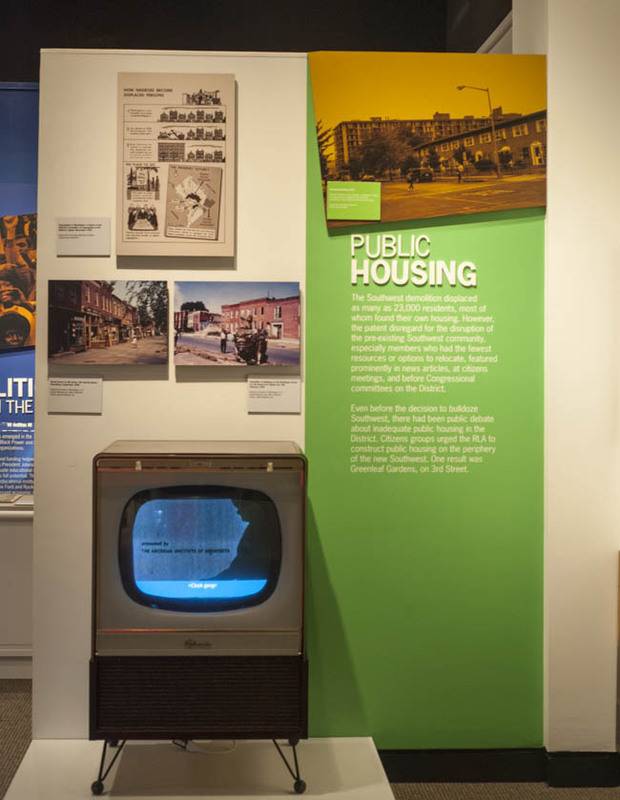 More illuminating were quieter events like the impact of urban planning and local historical events. 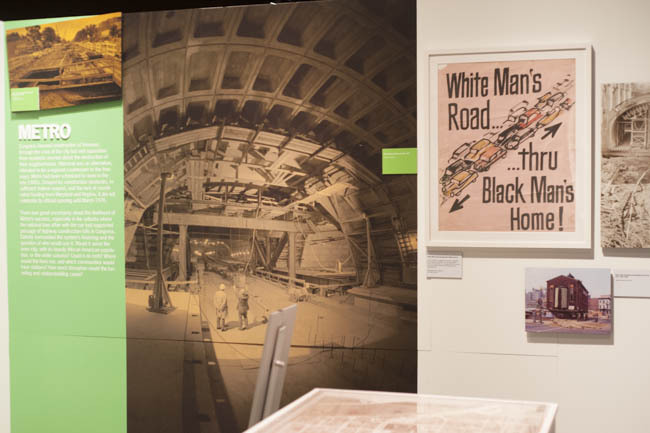 The development of the DC metro was not without displacement of communities. 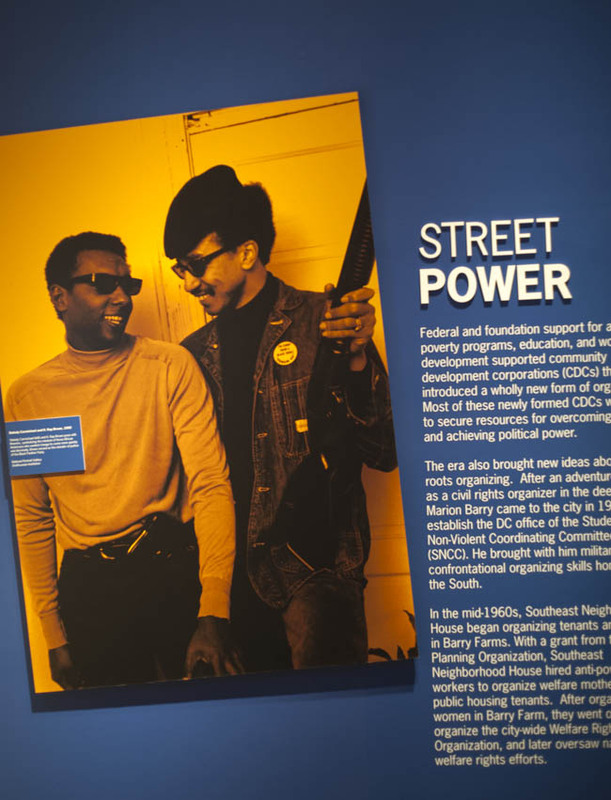 Student Nonviolent Coordinating Committee leader Stokely Carmichael, left, and H. Rap Brown, minister of justice for the Black Panthers. 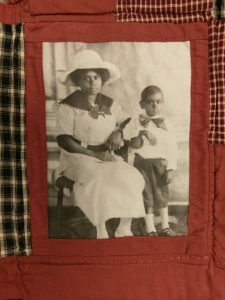 in a vintage photograph. 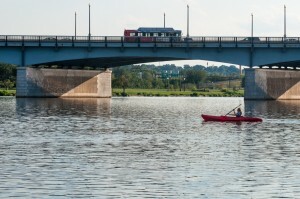 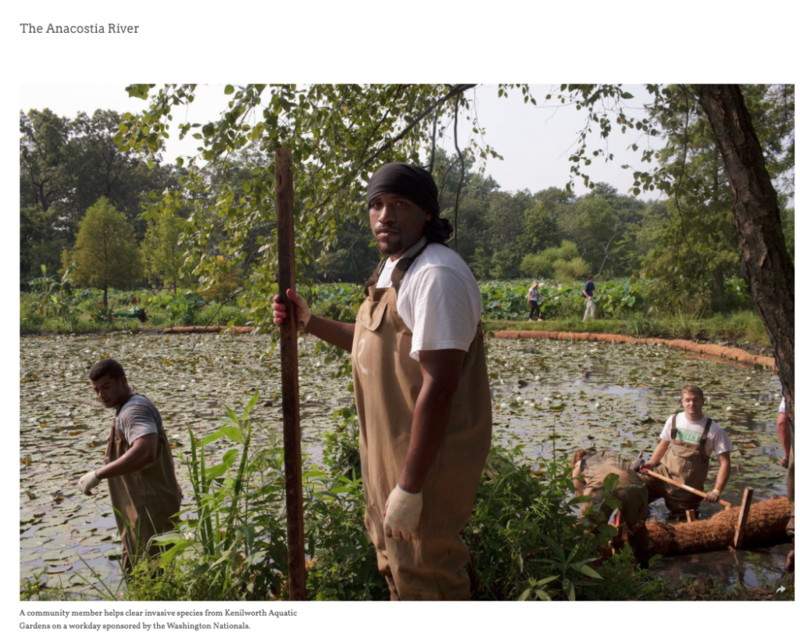 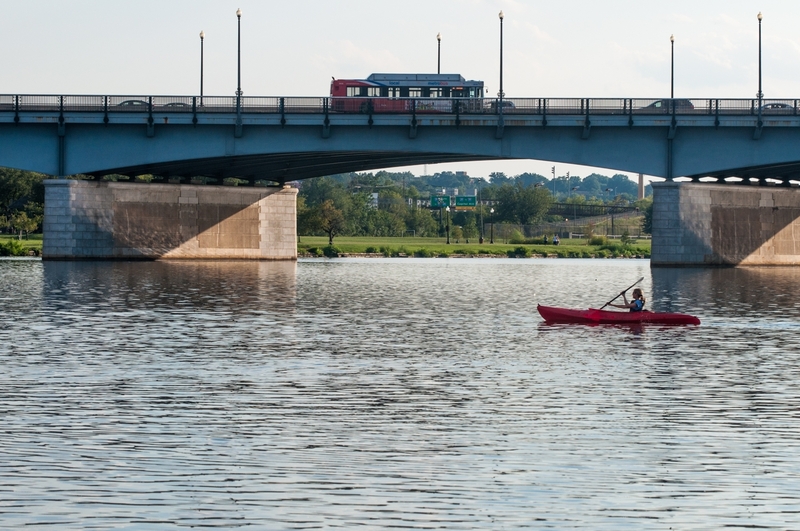 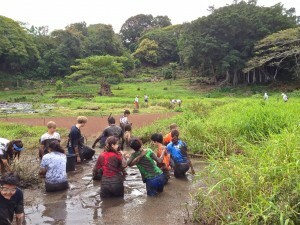 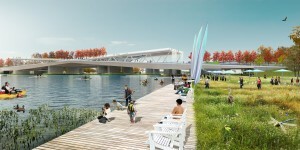 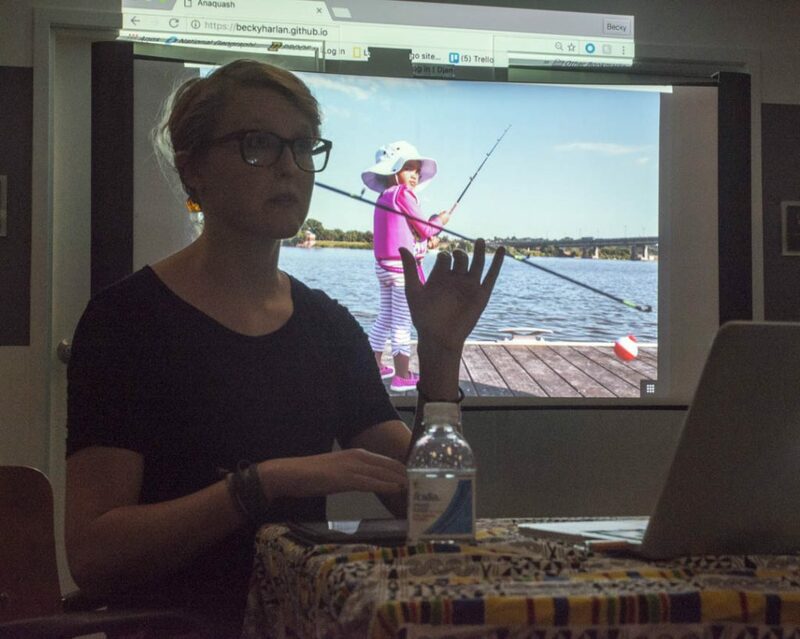 Two worlds meet on the Anacostia River, Yellow Cat Productions, Inc.